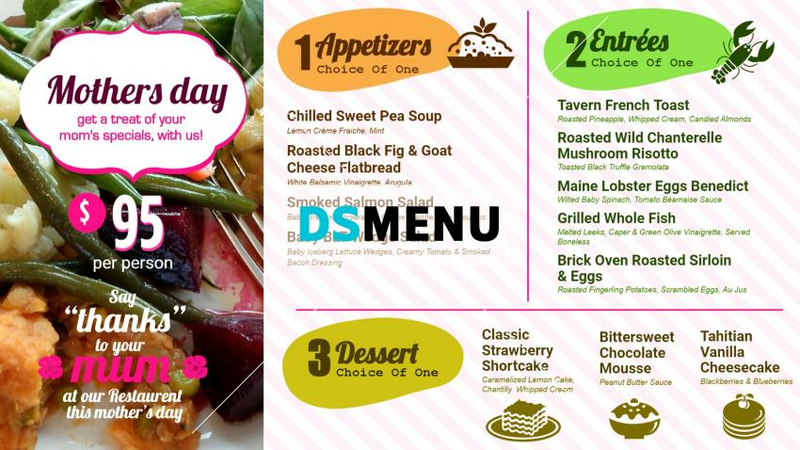 This Mother’s Day menu board is a classy one in that the dominant white color background meshes in perfectly with other attractive multicolors. This sophistication is matched by the luscious menu comprising of appetizers, entrees and dessert. The entree specials include preparations in lobsters, fish, sirloin, risotto and eggs. On a digital signage menu board all of these items can be highlighted to the target audience.